JEE Main 2019: Know How to Get Improvement in April Session: JEE Main 2019 is one of the most prestigious national level entrance exams, to provide admission to students interested in pursuing B.Tech. /B.E. or B. Arch/B. Des. Courses in the top colleges of India. The NTA has already conducted the January session of JEE Main 2019 Paper 1 & 2 and the results are announced as well. The next session will be conducted in April, so that students who were not able to perform their best in the January session, can improve their score in the April session. 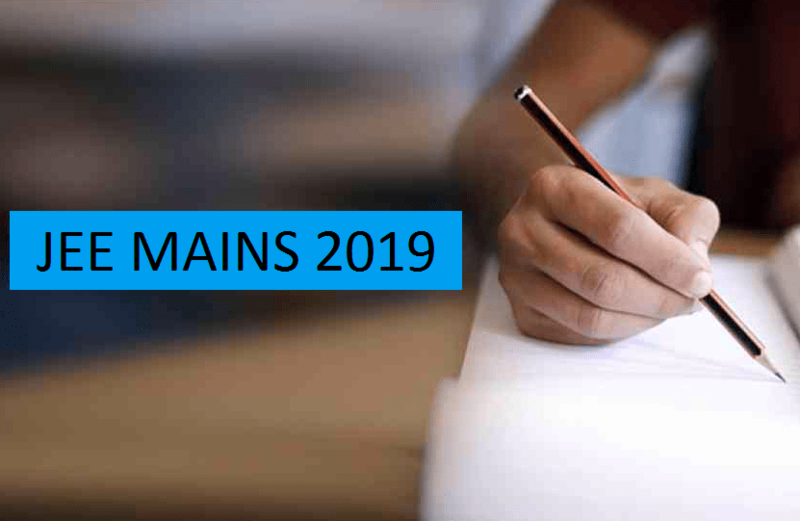 The common rank list for JEE Main 2019 will be announced in the first week of May, after the announcement of April session’s results as well. Once both the sessions are conducted and results are announced, JEE Main Counselling 2019 Session will commence from the second week of June in an online mode. If you are a science student, then you must already know the importance of scoring good in JEE Main. So, for those students who could not do their best in the January session, they still have a chance to improve their performance in the April session. Here are some points and tips that you must keep in mind while preparing for the April session of JEE Main 2019. If you have already given the January session of JEE Main 2019, then you must be aware of the mistakes that you made which decreased your overall score. Do not repeat them in the April session. Make a list of the reasons/mistakes that you believe led to your unsatisfactory performance in the January session. It is very important to retrospect and learn from your mistakes and eradicate them, before starting to prepare for the April session. Knowing the syllabus and making sure that you have in-depth knowledge about every topic is the best way to score well in any exam. So, if for some reason, you did not complete the entire syllabus, then this is your chance to prepare well. Also, after giving the exam, you must know your topics and your strong topics. Segregate the entire syllabus in easy topics and difficult topics, and then make your strategy. It’s best to schedule your work and make an effective timetable to cover the entire syllabus on time, before the April session. Prepare a time-table in such a way that you cover each and every topic before the exam and do not leave any part of the syllabus. Before going to bed, make the timetable for the next day and do not forget to put breaks in between of studying or else it will become monotonous and you will lose interest. Yes, practicing is obviously one of the most important point to remember in order to improve your performance in the April session. Practice as many JEE papers as you can, take mock tests twice a week, and also practice the question papers of the January session. Keep practicing questions on every topic as you cover them so that you know how to solve problems from any particular topic. Taking mock tests will keep you updated about your performance and will also increase your efficiency to solve questions in minimum time interval. This is very important while attempting the paper in the examination hall, as a lack of speed and accuracy can reduce your score to a great extent. You don’t just need to be quick in solving problems, but you have to be accurate as well. So, keep a check on your speed and accuracy equation, so that, in the exam, you don’t feel you are out of time or you made wrong choices. The key to speed and accuracy is to take mock tests online and see how quickly you can finish the paper accurately. Another important factor to improve your performance in JEE Main 2019 April session, is to clear all your doubts related to every subject. You can consult your teachers and clear your doubts as soon as they arise. Delaying your doubts and thinking that you will clear all of them at once after finishing the entire syllabus is a bad idea. While preparing your time-table to make sure to put a lot of clearing your doubts regularly. This is very helpful, so do not forget to do this. After finishing every chapter, make sure to make cheat-notes, where you will write all the important formulas and important points about that particular topic. It will be like a window to the entire chapter, so that, you can quickly revise whenever you wish to. Revision is also something that we often take for granted. Revision is very important before sitting for the exam. So, make sure you finish the entire syllabus a week or two before the main exam, and you revise everything that you have studied properly. As the exam comes closer, we often tend to panic a lot and think that maybe we should study more from another book, to have even more in-depth knowledge about the subject. Do not do this. Once you have completed the entire syllabus, do not take up new books just before the exam, as it may confuse you a lot and you may also forget what you already knew. So, stick to the actual plan and concentrate more on remembering the important formulas and topics and practice as much as you can. You may find yourself very nervous as the exam date approaches and a number of “What if” questions will arise in your mind. All you have to do is to stay calm and optimistic. Avoid discussing your preparation with your other friends, as it may lower your confidence level and arise a factor of self-doubt. Panicking is the worst thing you can do before the exam. So, try to stay positive, calm and focuses on your goal. Being healthy is also as important as any other factor to improve your performance in the April session. So, while preparing also takes care of your health, which will keep you calm and relaxed. Getting sick is the last thing you would want before the exam, so, stay healthy. Keep all the above points in your mind before starting to prepare for the April session of JEE Main 2019. If you follow these steps religiously, you will for sure, improve your JEE Rank and get a good college in JEE Main counselling. All the best!